We provide caulking services in Toronto and surrounding areas. Our goal is to get 100% customer satisfaction. 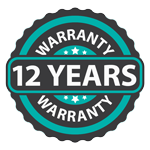 All our services are backed up with 12 years of warranty. We offer a wide variety of services to cover all your caulking needs using the best materials available in the industry to ensure the quality of our work. We have more than 10 years of experience where we have learned different techniques which able us to provide outstanding service and warranty our customers’ satisfaction. Residential: at Kanata Caulking & Weatherproofing we help you remove air and water leaks from your home, condominium or residence. Commercial: We optimize your windows, doors, bathrooms and any space you want to seal and protect in your building (interior or exterior). We work both, interior and exterior projects with the best quality on the market and with a 12-year warranty. Low Rise & High Rise Properties: We have highly trained work teams to work at Low Rise & High Rise, guaranteeing exceptional work and quality in all types of projects.